When you hear the term “dead fish,” the next image that comes to mind is probably a trashcan. Maybe you think about food first, but it’s unlikely that anyone considers a smelly fish carcass to be a good survival tool. Well, my goal is to change all that. Believe me, I’d rather not have to use dead fish for anything except dinner, but living in a survival situation means you have to be more resourceful. And knowing how to make use of items that are commonly considered trash will give you an advantage when SHTF. Now, using fish skin in this manner is still being tested, but I found the topic far too interesting to not include it in this article. In the US, pig skin is commonly used in the treatment of burns, but doctors in Brazil found that they did not have enough of this resource available to help burn victims. But what they do have is lots and lots of fish. 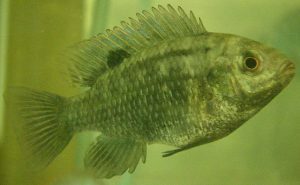 Tilapia is widely farmed in the country, but the skin from these fish was largely considered trash. That is until researchers discovered that the skins contained a large amount of collagen proteins and began using them in clinical trials. So far, the results of the research have shown that the tilapia skins cut down on healing time and don’t have to be changed as often as gauze and cream. This isn’t to say tilapia is better than using human or pig skin to treat burn victims, but it is a good example of finding a workable solution using the resources you have available. While scientists don’t yet know just how effective tilapia skin is for treating burns, humans have been making use of dead fish skin in other ways for centuries. 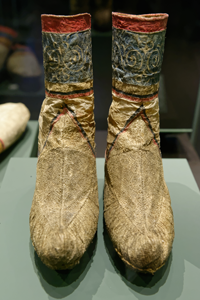 Native Americans used fish skin as a flexible and waterproof material for boots and other clothing. Even today there are companies that manufacture fish leather – mainly as an alternative to using skin from endangered species of snakes and crocodiles. And the surprising strong material is used to make everything from belts to iPhone cases. If SHTF, it’s unlikely that many people will have the resources available to raise cattle, but fish are another story. By learning how to make and replace clothing with fish skin, you’ll have a sustainable source of both food and craft material. 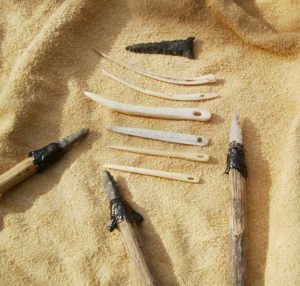 Plus, you can also use fish bones to make sewing needles. 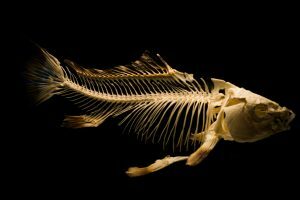 Like fish leather, these bones are both strong and flexible. We all know that dead fish stink. But you can use this foul smell to your advantage while hunting or bugging out. If you’re hunting, using a fish smell to cover up your scent can help distract your prey. And if you’ve set up shelter out in the open, you can use the rotting fish smell as a deterrent to keep people away from the perimeter of your camp. Similarly, you can use the fish smell to attract bears and other predators away from your camp and food supplies. Dead fish can make a great fertilizer for your survival garden. Not only do fish provide nutrients for growing crops, but they also serve as food for a whole mini-ecosystem of bacteria, fungi, and worms, and these organisms also improve soil conditions to help plants grow. Another way to make use of dead fish is to use them as bait for bigger fish. Check out the video below for a tutorial on using small fish like sardines and pilchards as bait.